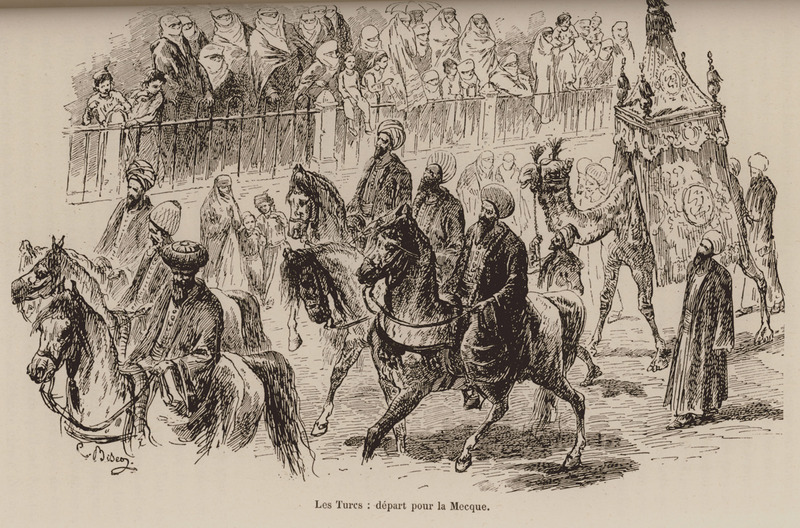 Pilgrims departing from Cairo to Mecca. 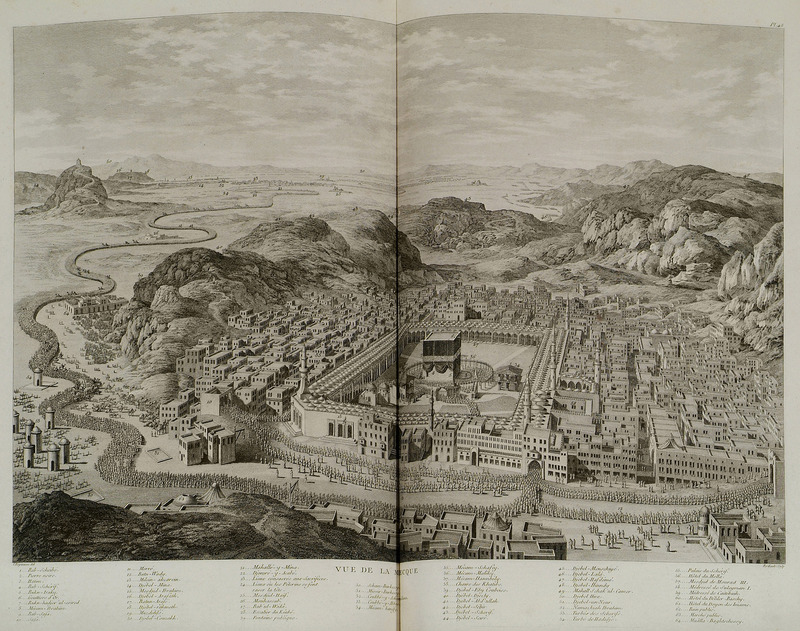 Panoramic view of Mecca. On the foreground, the Mosque of Mecca (Al-Masjid al-Haram) and the Holy Rock of Kaaba. 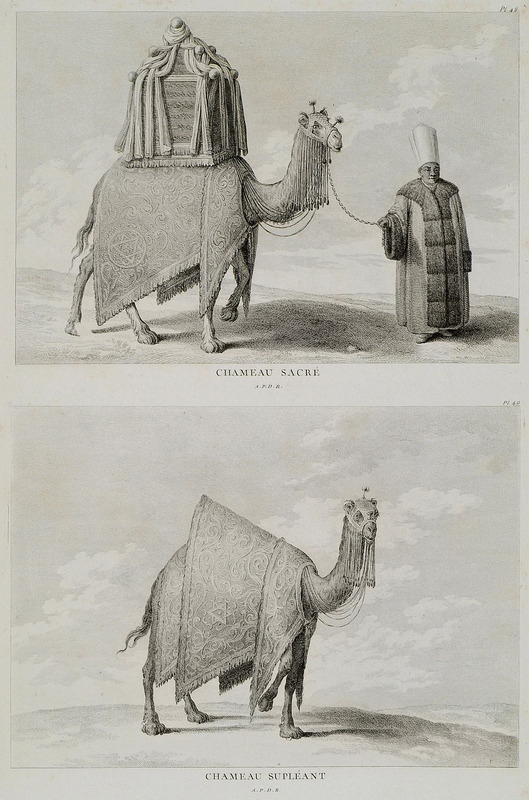 Camel carrying gifts from the Sultan to the Holy Mosque of Mecca during the Ramadan. 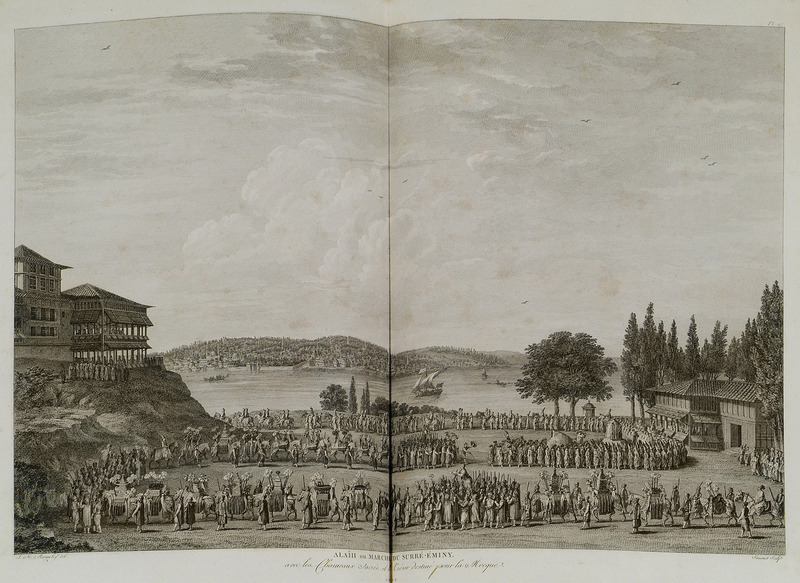 Auxiliary camel forming part of the Caravan to Mecca. 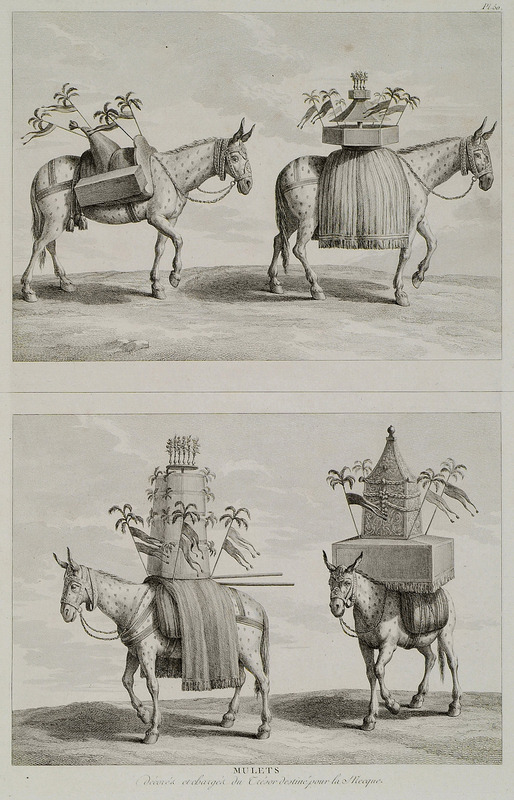 Mules of the Imperial Caravan carrying gifts to Mecca from the Sultan, during the Ramadan.